We had pretty good attendance at the show. The morning started out slow, (yeah, sunday morning before church let out...and the weather the day before was pretty wet) but once we got nearer to noon, things picked up quite a bit. One owner said "I actually had 3 different people come talk to me about converting a truck they owned (to all electric). Quite a few of the students from the three high school robotics teams were very interested. The robotics teams create a bit of excitement and exposes the students and their parents to the varied types of EVs. We had two Tesla Model X and they were hits. Due to insurance concerns we did our test drives as part of the raffle. The rides will be at the dealer closest to the winners. To encourage early registration anyone who registered got one raffle ticket with the drawing at 1pm to encourage folks to stay thru most of the day. Washington State is one of the top markets for Electric Vehicles (EVs) in the country! Not only are EVs becoming more popular, but increasingly stylish models are appearing on the market, including, Nissan, Ford, Tesla, Smart, Chevrolet, Toyota, Fiat, Porche, Honda, Mercedes,Kia,VW, Mitsubishi BMW, and many others. RSVP to our complimentary registration below and get one FREE raffle ticket with prizes such as manufacturers test drives, Triple X Rootbeer burgers, EV merchandise, local vendor gifts, and more! Have your own Electric Vehicle? 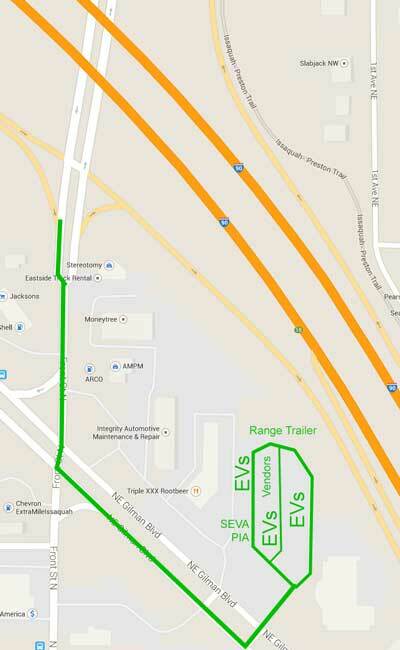 The sixth annual Drive Electric Week hosted by the Seattle Electric Vehicle Association will again take place in the Electric Vehicles - friendly city of Issaquah, a short drive east of Seattle right off I-90. 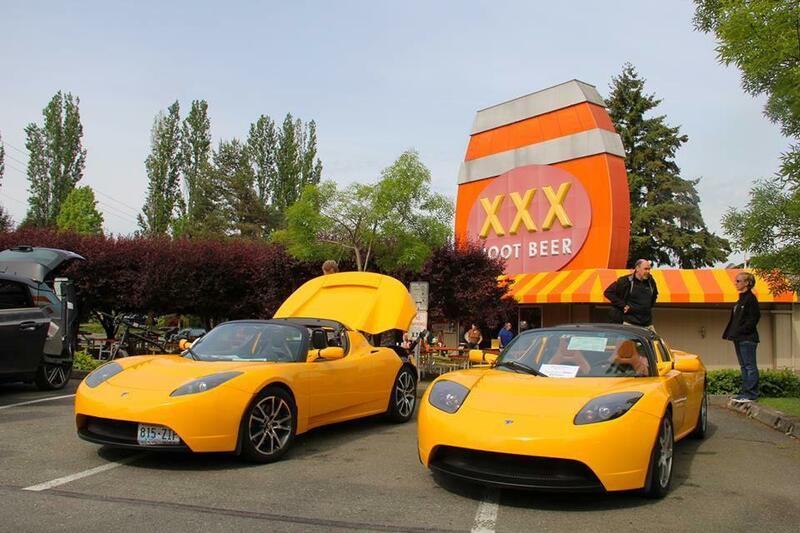 The location is the historic Triple X Root Beer, a monument to the history of motoring and a regional destination famous for its weekly car shows. Last year we had 59+ electric vehicles on display representing more than 1.5 million oil-free miles! The event also included lots of fun activities such as a scavenger hunt with prizes, three student robotics teams and some great exhibits by Puget Sound Solar, Torklift Central and several other vendors. There are currently 195 attendees registered. Registered attendees report 1,105,581 electric miles driven.